For my birthday meal I went to my favourite Japanese sushi restaurant in Cambridge called Teriaki. Therefore I decided I should paint my nails for the occasion. 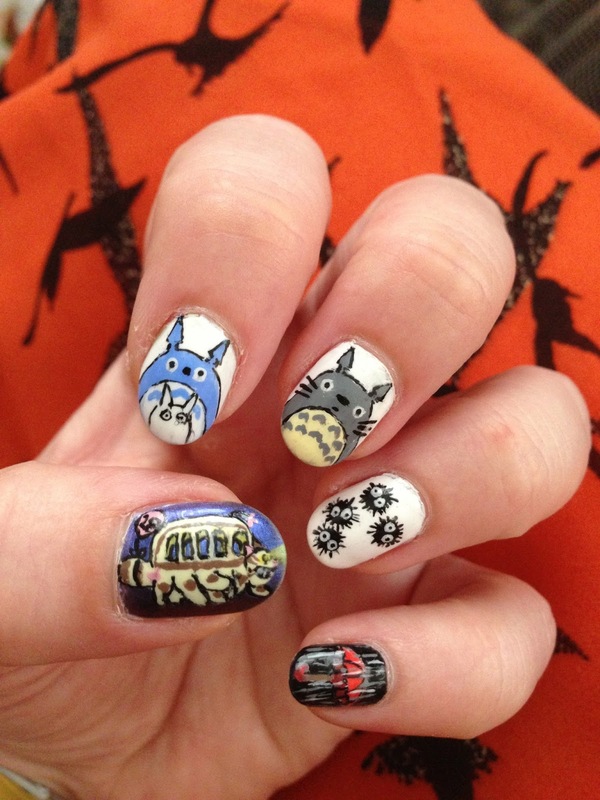 I didn't want to paint them all sushi nails so I chose to paint one hand in the theme of 'My Neighbour Totoro', my favourite Studio Ghibli film. On my left hand I have Cat Bus with a balloon attached to his tail (had to add the birthday theme in there somehow), Chu Totoro and Chibi Totoro, Totoro, the little dust mite creatures called Susa-ataris and an umbrella with heavy rain. 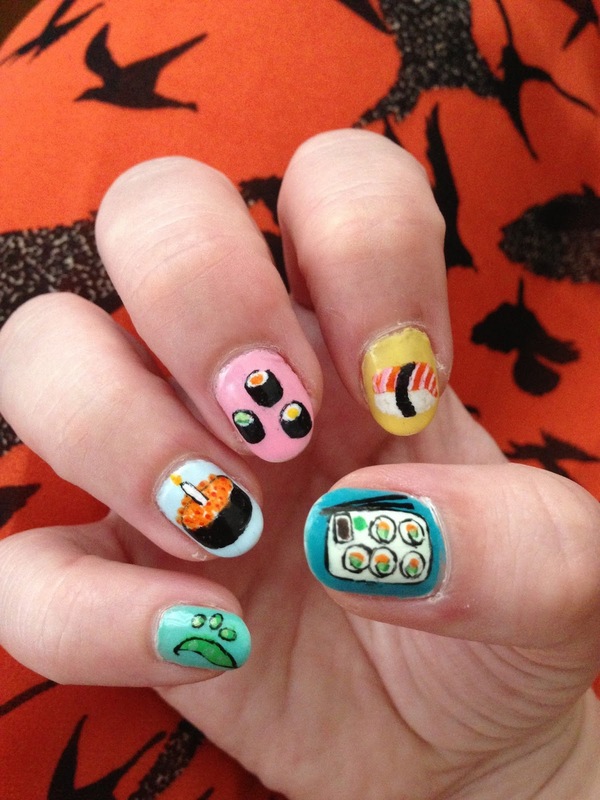 My sushi nails include edamame beans, salmon roe sushi - my favourite (also added a candle in there like a birthday cake), cucumber, salmon and pickle maki, salmon sushi and a plate of california rolls with soy sauce, wasabi paste and chopsticks. I had an amazing birthday week with lots of yummy food and fun thrills at Alton Towers.